From Cuisinart to Recyclebank, Gamification continues to be a huge marketing trend. Cuisinart connects with a new generation of customers through baby photo and recipe sharing contests as well as through their new Facebook game Cuisinart Memory Master. Meanwhile, Recyclebank encourages green behavior by rewarding recycling with points that you can redeem towards a charity or for rewards. In both these cases, the companies are building a strong online community through fun. Richard Wise of Mirrorball informed the crowd that 26% of american teens expect to be famous by the time they are 25 years old. In a world where it's possible to be "internet famous" in a flash if you simply compose the right tweet or upload the best youtube video, this is hardly surprising, but will there be a backlash against the age of over-sharing? Jim Newswanger of IBM talked about the ways that IBM has approached social by allowing their employees to become online experts and human voices for the brand, and the ROI of doing so. (To learn more about IBM's social guidelines, you can actually view a presentation on it here.) By creating an environment that embraces social interaction, they've actually fostered an environment that is more welcoming to innovation in general. 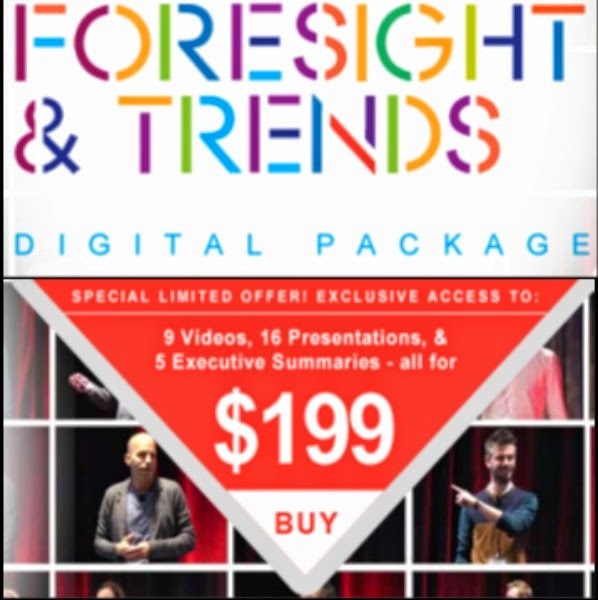 For more coverage of the Future Trends event, including in-depth coverage of each of the sessions mentioned by guest blogger Aaron Keller, visit the Front End of Innovation blog here. Thanks for a great piece of information.Social networking is one of the best things that have happened to us.well !ZiteCode offers an easy, fast and very affordable solution to Build websites through its advanced editor while providing all users the tools to Optimize and Broadcast their website through a social networking community.